We always remember, from our days playing in bands, the amount of time and energy that was put into finding a great band name was almost more than that spent on writing actual songs. Trying to find quirky lines from films, song lyrics or scrawling through the thesaurus to use some overly-pretentious word never seemed to work; but our latest Track Of The Day offering has found themselves a gem. 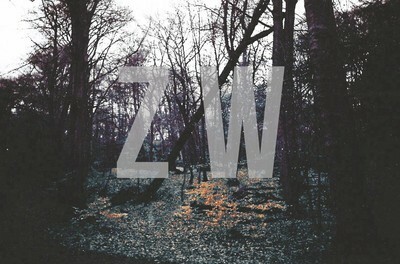 Zulu Winter is one of the best bands names we’ve heard in a while, and unsurprisingly they back this up with some equally-stanced musical ability. There isn’t a huge amount of information online about these guys (despite the great lengths you know we go to research these buggers), apart from they hail from London; they write a self-named blog about music, art, books and other intelligent cultural stuff that, according to their Twitter, is better than “yours” (meaning we have business with these dudes); and above all they have decided to offer up their debut track, ‘Let’s Move Back To Front’ via this blogging medium. An atmospheric, steady builder of a song, with dreamy delayed guitars, solid simple drum beat (with some good use of cow bell) bolstered together with gliding falsetto vocals. It reminds us in parts of MGMT crossed with a more ethereal and ballsy Coldplay, thus rendering the impossible into the popular. Comparisons aside, this is a thudding great song and certainly one we’ll be playing over the summer months and beyond – we’ve fingers, toes and general streams crossed for a couple of shows in London before summer is out. I am “older generation”, but a “gigger” nonetheless, and i just love this music. It has class and style. There’s something special about the voice and the synthesis amid the many talents around. They’ll go places, this band; there’s no weak link. You’ve got good taste Marian.